In what has become a Graham household tradition, this sparkling red was front and centre for today’s Christmas lunch and in prime form – the 2013 disgorgement is possibly even better now than last year. The key here, like all great sparkling wines, is the blend. The combined weight of old Australian wine, topped off with the impact of rich McLaren Vale Shiraz and dusty Cabernet gives this a complexity which is unmatched. You can smell the force of youthful McLaren Vale red wine, counter-punched with the earth and creaky delicacy of old wine. Old meets new, all in one glass. Crucially, this is neither too tannic (the usual trap for ‘red wines with bubbles’), nor too heavy on the dosage (firm tannins need to be balanced somehow), instead flirting with both astringency and sweetness – and coming out a winner. 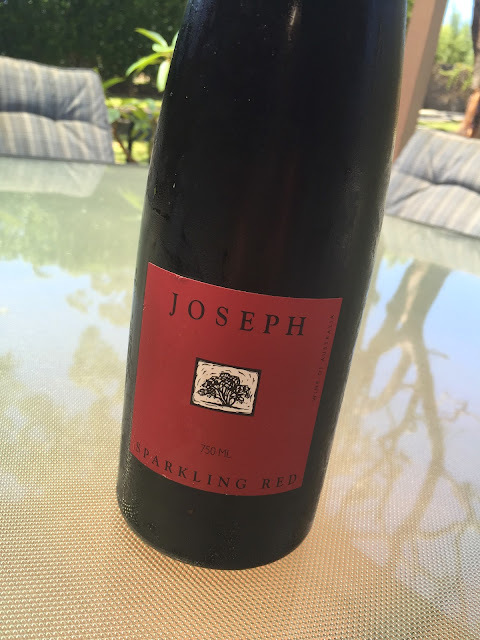 The greatest sparkling red in Australia (which means, by default, the world). Would I buy it? I did and I will again. You are going to get a lot of noses out of joint saying it's Australias greatest sparkling red Andy!! I agree though, I had it on xmas lunch (2013 disgorge) back to back with the Rockford black shiraz (2010 disgorge) and the primo killed it. The amazing depth, length and complexity was simply Astounding! Interestingly the Braydun Hill sparkling shiraz (also from Mclaren vale) held its own against these two at half the price. Great post Andrew ! Primo the king of complexity. Seppelt Show Sparkling once the champion but not in same league anymore (the little that's around).